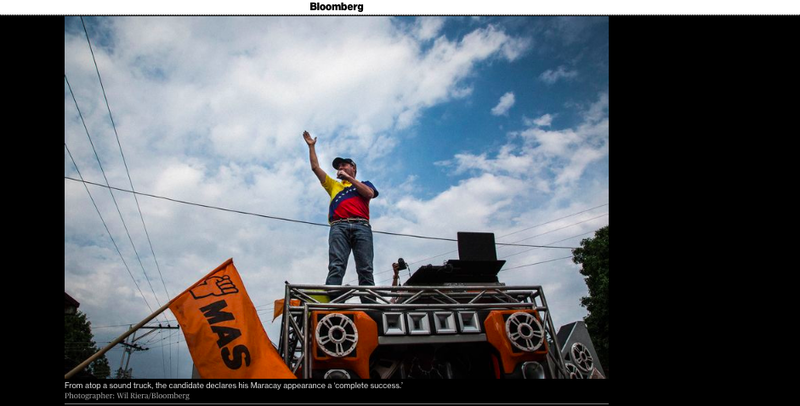 I've been documenting for Bloomberg News part of the presidential race in Venezuela. We went in a day tour too witness Henri Falcon’s campaign. Henri Falcon risks legitimizing Nicolas Maduro ahead of a vote that has been criticized internationally.